Landscaping your yard or property is no easy task. In fact, it can often be confusing to try and understand each individual aspect of your landscape and determine how they should come together. Fortunately, there is one methods used by experts that helps to simplify and categorize each individual aspect of your landscape and make things a little easier when it comes to planning your landscape needs. One of the best ways to do this is to break down your landscape into five different categories. Not only does this help you organize your thoughts about the landscape itself, it also helps make planning any work that much easier. 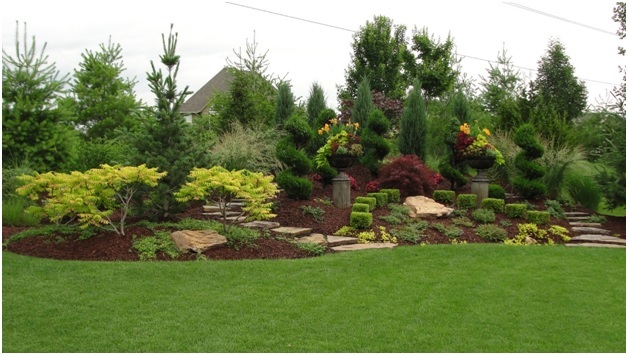 Below, we’ll go over the five different categories of any garden or yard landscape. Read more landscaping tips here. When thinking about your landscape, the first category to consider is the upper-most section, which includes all of your tall, canopy trees that provide your property with shade and shelter from the sun. Most of the time, we’re not the ones who design and plant this category of the landscape. We usually inherit them from our home’s previous owners. Still, it’s important to remember that when it comes to dealing with tall trees, whether it be trimming large branches or removing trees that are dying, it’s best to hire someone who knows what they’re doing. In some cases, branches or trunks can split awkwardly and end up falling in a direction that we didn’t plan. Therefore, while it’s a good idea to consider the canopy trees when planning any sort of landscaping, it’s best to leave the actual work to the professionals. Below your tall canopy trees comes the mid-upper category which encompasses smaller trees such as fruit-bearing trees and ornamental trees, as well as any younger canopy trees. While these trees may still be considered as the upper part of your landscape, they are closer to the ground and therefore, are much more integrated into the visual aspect of your property. Some examples of this mid-upper category would include cherry, crabapple, pear, and dogwood trees. These trees are excellent additions to any property because they can be used to draw attention to certain focal points of the landscape. Just remember that while these types of trees aren’t quite as dangerous as larger canopy trees, it’s still a good idea to hire professional help when trimming or removing them. 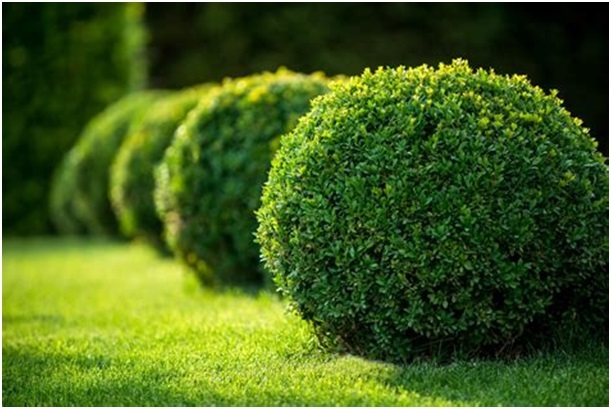 The next category to consider when landscaping is the lower vegetation such as large shrubs and hedges. This category includes a wide range of plant life from lilacs to with hazels, as well as a variety of dwarf or compact canopy trees. Because the majority of these trees are at eye-level, it’s important to consider them and decide on the best way to care for this category so that the plants don’t overgrow, but also remain vibrant and healthy as well. It’s still recommended to leave trimming and pruning this category to the professionals, however, by knowing and understanding the different needs of these trees, any homeowners could technically learn to take care of them. Just keep in mind that every type of tree has different requirements, therefore, it’s best to fully understand how to care for them to avoid injuring or killing the plant. Our next category includes all perennials and small shrubs that cover the ground. This is the best category to work with because you can create and recreate your garden landscape every year. And, because this landscaping category is the most dynamic of the five, it’s also the most forgiving. Therefore, this is a great place for gardeners of every skill levels to start. While many of these plants can certainly benefit from the care of a skilled hand, they are also much more forgiving to clumsy, first-time gardeners. Also, because this category is constantly changing throughout the year, it’s a great place to plant a variety of different vegetations that will keep things visually interesting as the seasons go by. For the most part, we don’t put all that much thought into the soil when thinking about landscaping. However, just below our feet, there is a vast ecosystem of life and activity that plays a crucial role in the health of the rest of the landscape. Think of this category as the root systems of the other plants that cohabitate above the surface, which dictate things such as the availability of water and nutrients in the ground. Essentially, this category determines the survivability and stability of all the other plants in your landscape. So, with that in mind, remember that overcrowding in this category can cause all sorts of problems above the surface. Because of how crucial this landscaping category is, things such as soil testing or assessments are essential to getting a better idea of how to plan for the rest of your landscape. This means that it’s best to partner with landscapers in Reno, who are knowledgeable about things such as drainage and soil compaction. Now that you have a better understand of the different landscaping categories on your property, it should be easy to see how each one is important when planning the visual aspect of your landscape. And, by knowing about them, and considering each one carefully, you’ll be better prepared to assess your landscaping needs and plan your landscape with confidence.